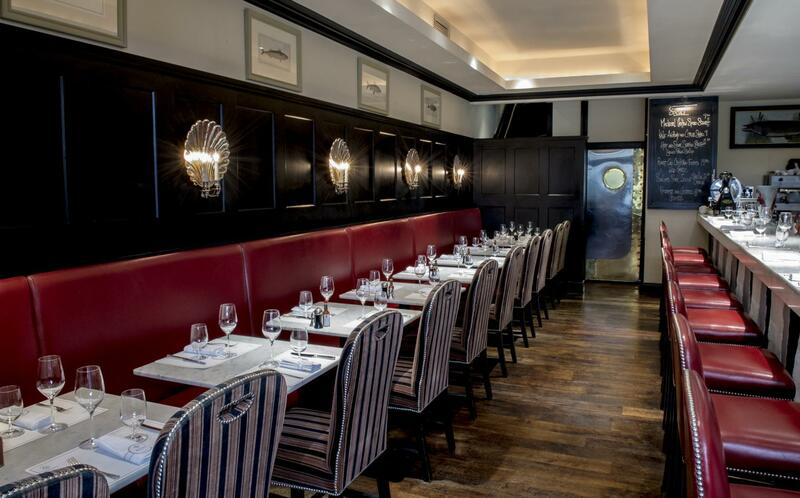 The Rib Room combines William Morris design blue and white fabric on the walls, warm wooden flooring, blue leather chairs and original Bentley’s fish prints and paintings to create a modern, relaxed atmosphere. 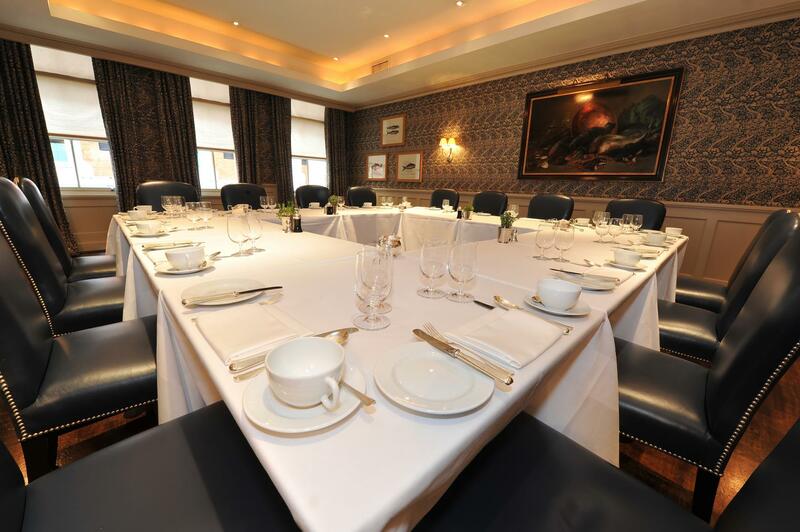 The room is situated on the first floor of the restaurant and benefits from natural day light from three large sash windows. 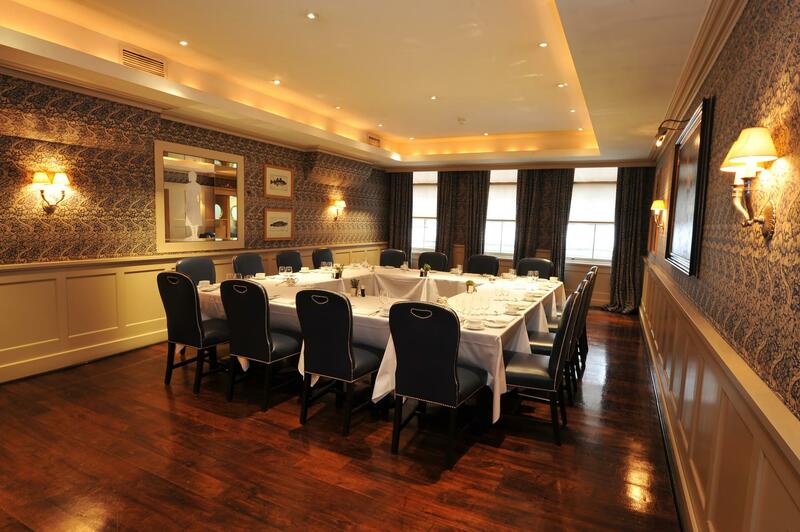 Bentley’s offers some great-looking private dining facilities. 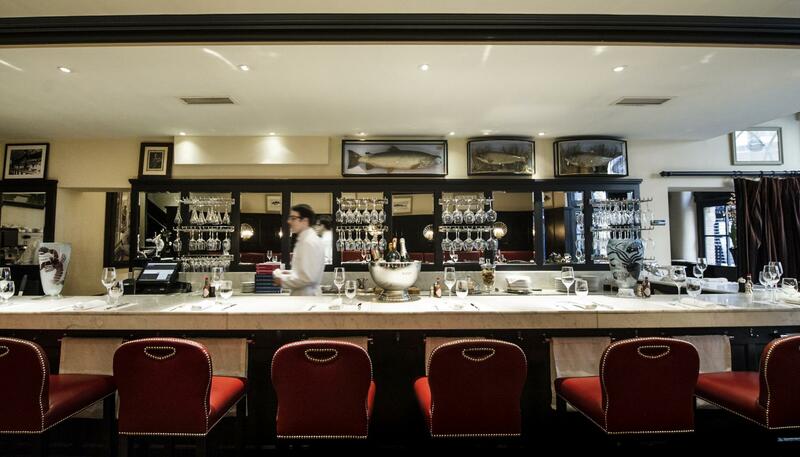 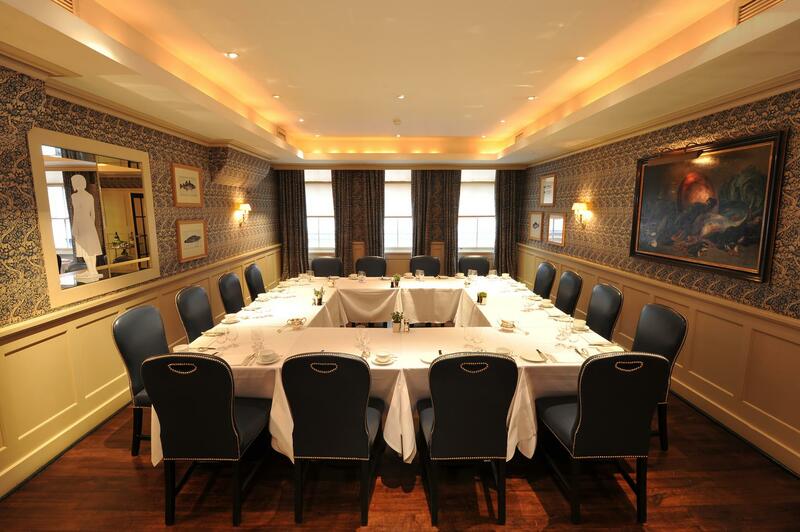 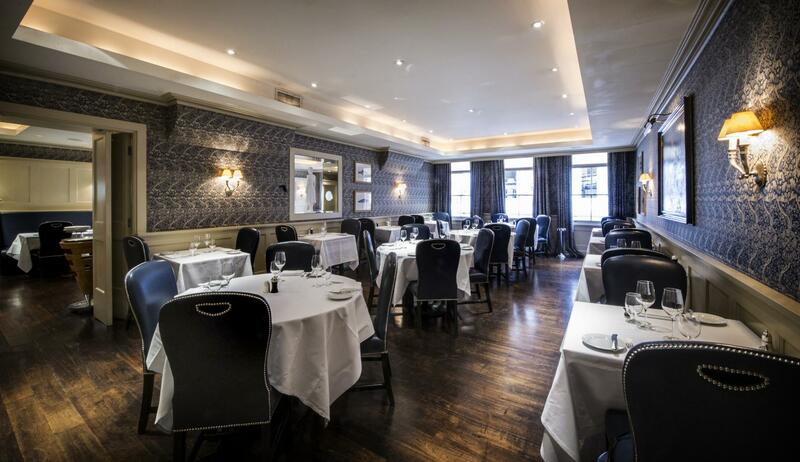 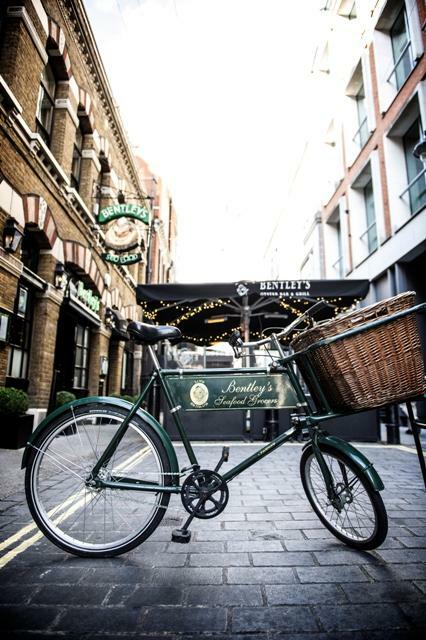 Our elegant 16-seat Crustacea Room is adjacent to the first-floor restaurant, while the Swallow Street Rooms provide smart, intimate event space on the lower ground floor. 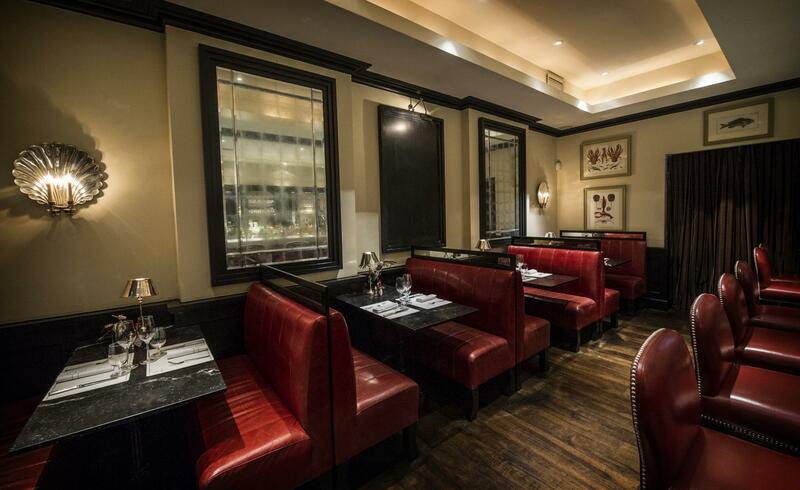 The artwork and interior mirror the classic feel of the main restaurant, while there’s a plasma screen for presentations and a DJ point that serves more lively events.